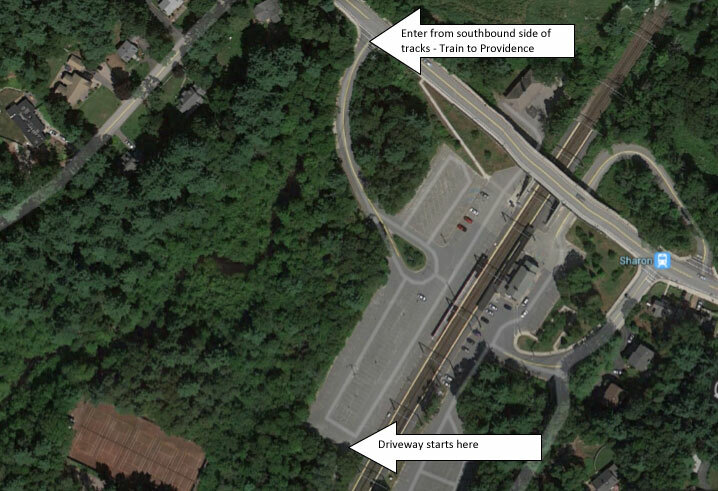 The club is accessed thru the parking lot on the southbound side of the Sharon Train station (where the Trains to Providence sign is). There is a dirt road on the backside of the parking lot. Look for the Sharon Tennis Club sign.